We are really proud to introduce our new line of very high-end cards, dubbed by a very smart kid as the “Titan Cards.” Our standard business cards are 16pt thick, which is already thicker than most people’s cards. This new line of cards is 48pt! The bottom part of this photo is 10 of the new cards next to 10 of our standard cards. You can also add a huge number of features to the card. 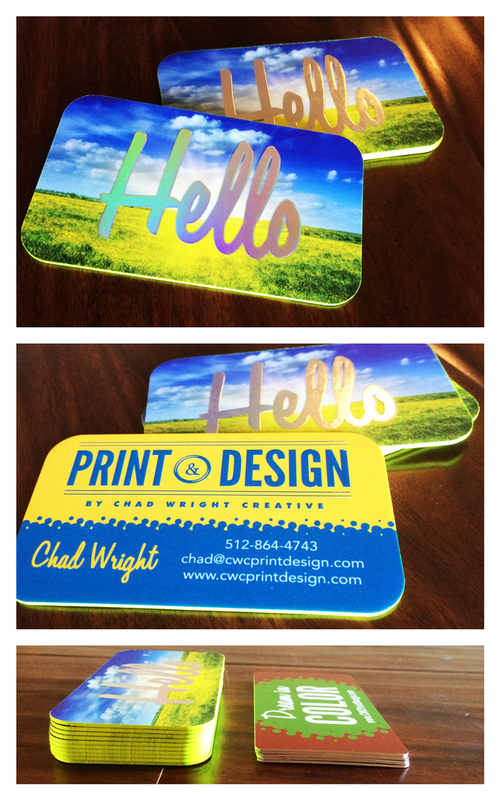 These have rainbow silver foil, embossing, spot uv gloss, silk finish, rounded corners, and painted edges. If you’d like to make an impression with everyone you meet for your business, contact us today. Filed under Print & Design.